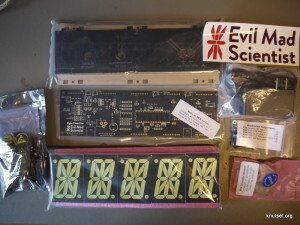 Having cheap PCB’s made part 2. 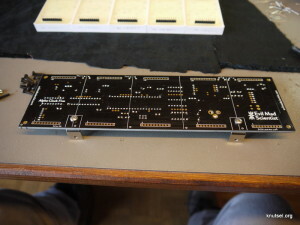 A while ago i made a popular post about having cheap PCB’s made. Some things have changed so it’s time for a new post. BatchPCB is now OSH Park. 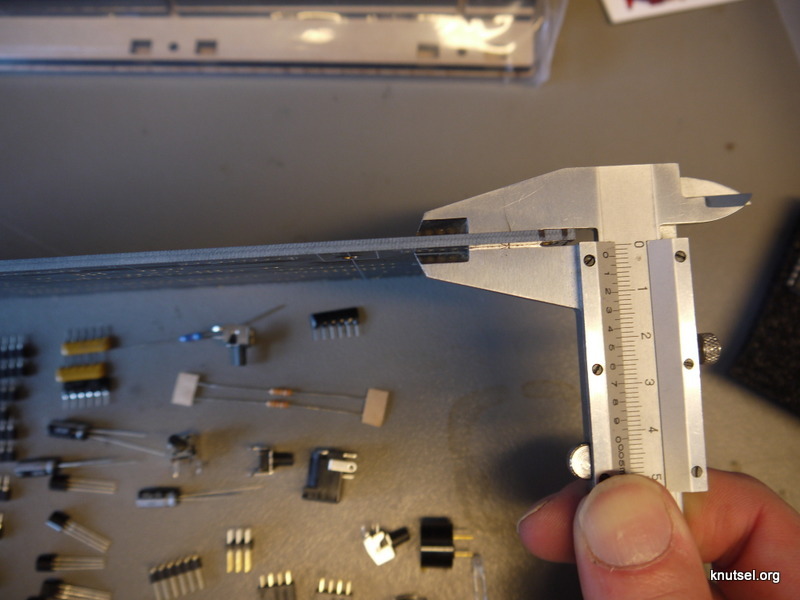 EuroCircuits have broadened their range of services to better cater to prototype runs and hobbyists. 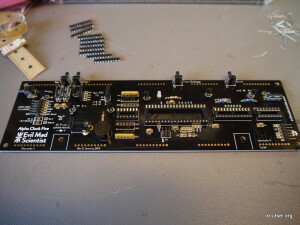 Seeedstudio have a PCB prototype service. Where there are lots of suppliers and customers shopping for the best price, sooner or later someone is going to set up a price comparison site like : PCBShopper. 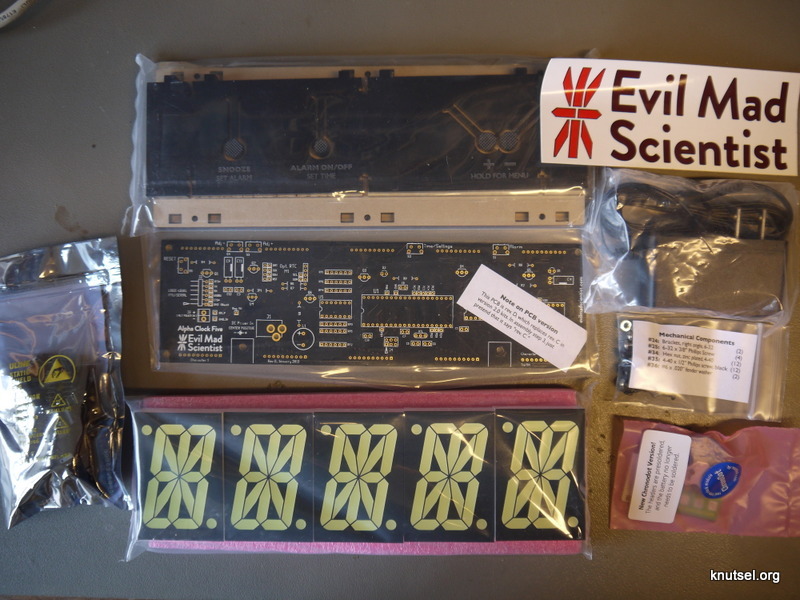 The most interesting manufacturer for me is now DirtyPCBs (from the people behind Dangerous Prototypes who made the Bus Pirate), my last 3 batches were ordered there. 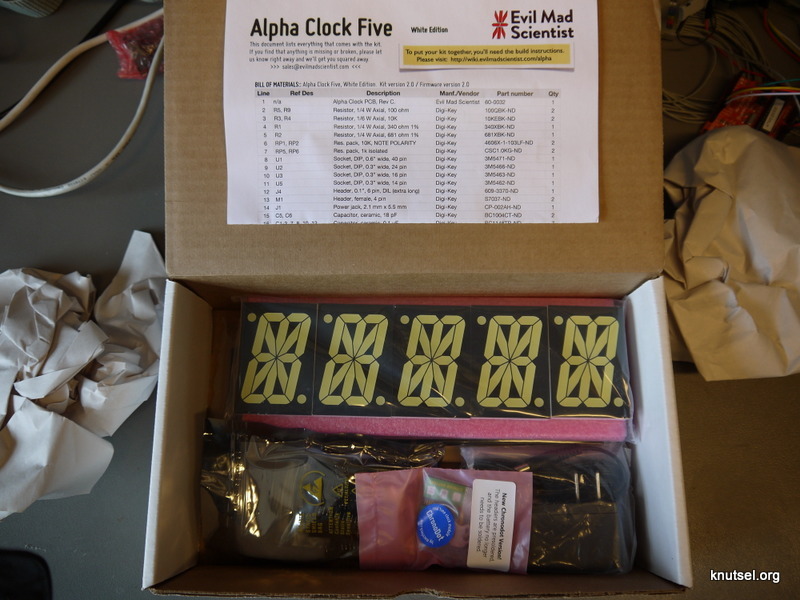 The first batch was a new run of the LivingColors Arduino shield. 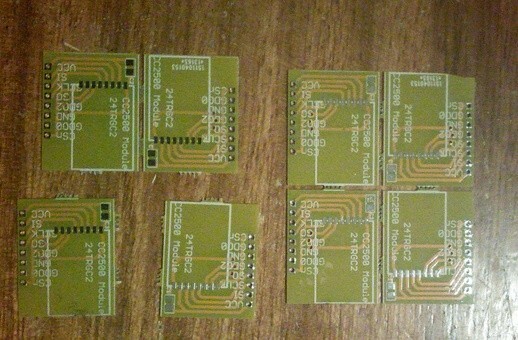 New batch of LivingColors Arduino shields. 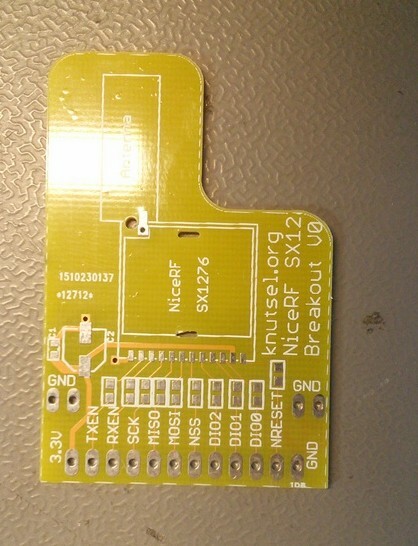 The second batch was a breakout board for the NiceRF SX1276 LoRa module. Here i experimented a little with contour routing. The third batch was an adapter board to use no-name CC2500 modules in boards designed for the Quasar QFM-TRX1-24G. 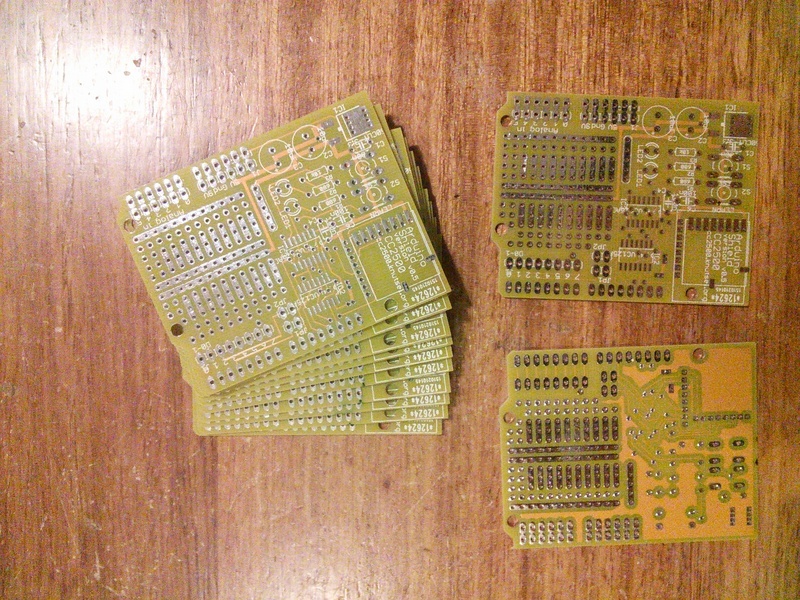 The boards are small (about 20 mm x 25 mm) and the minimal size for dirtypcbs PCB’s is 100 mm x 100 mm. Here I experimented with breakout panels, putting 4 PCB’s in one design. Position the “mouse bites” differently so the rough edges won’t protrude, see this post. 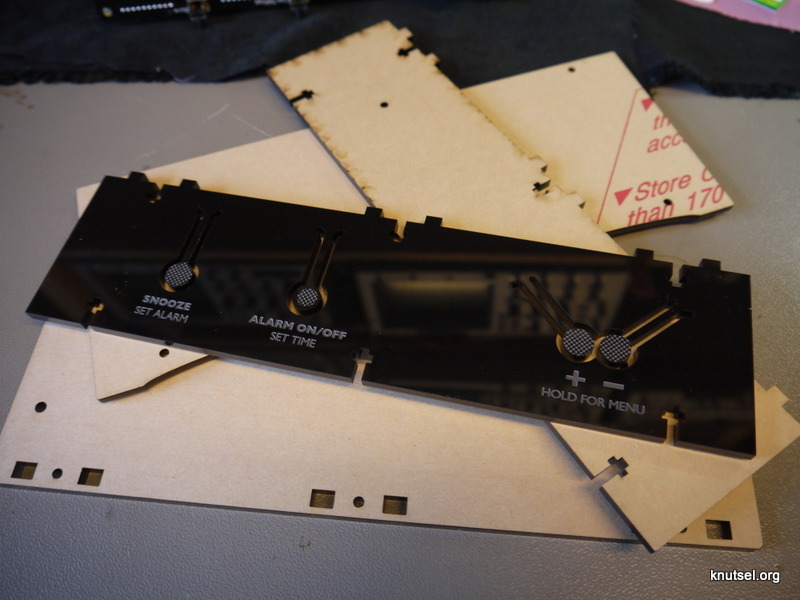 Copy and fixate the silkscreen text to a new layer before copying and rotating the sub-PCB’s. If you look closely at the PCB’s you’ll see that the text didn’t rotate with the rotated copies of the traces. That’s what you want for a big PCB but not for a breakout PCB. There is a ULP for that and a nice tutorial. 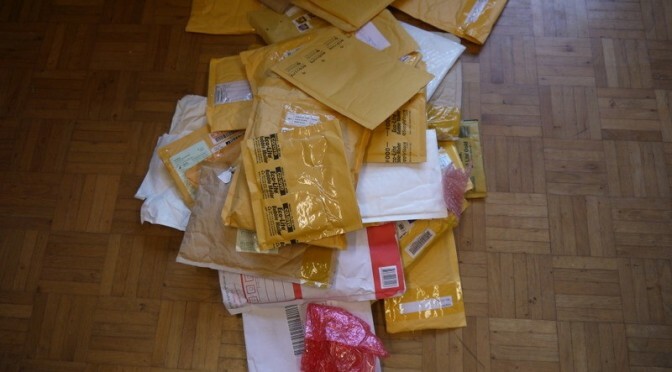 Author IvoPosted on December 20, 2015 December 13, 2015 Categories CAD - CAM, PCBTags dirtypcbs, having cheap pcb's made3 Comments on Having cheap PCB’s made part 2. SKU: 382445 Quad band GPRS module. Haven’t played with this yet. There is no documentation on the DX page. Seeed has some general info about the module and the Seeed module that may be helpfull. 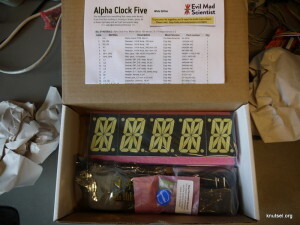 The Adafruit FONA shield uses this module as well.The last picture in the DX page can be used to figure out the pin-out. 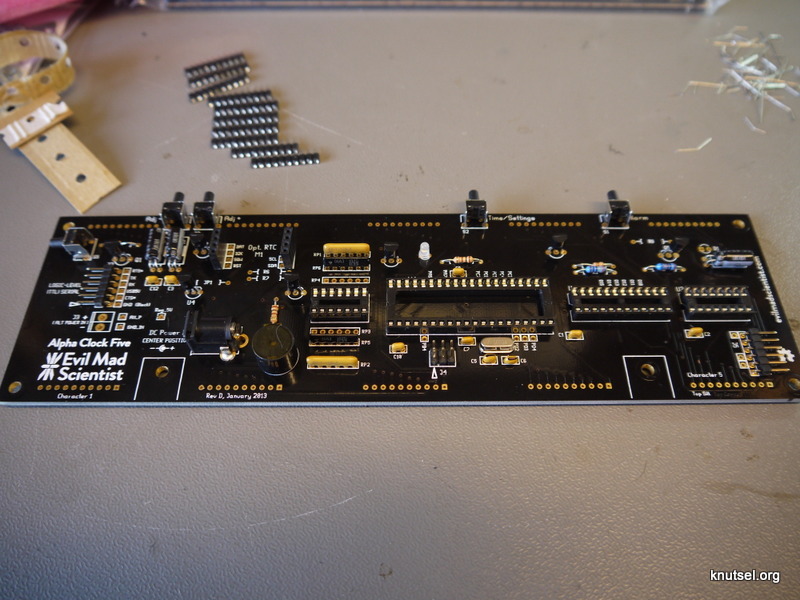 One thing I did notice is that the board is not going to fit on a breadboard nicely. SKU: 131727 and SKU: 131728 Pre-cut, stripped and tinned wires : sort and long. Preparing wires for soldering can be a drag. Just buy them ready to solder. SKU:4711. Solder Paste (sold out). The name “Solder Paste” is a source of great confusion. This type is basically solder (so lead-tin-silver-whatever) in paste form. “Solder Paste” can also be flux to improve soldering and is a resin. Both are sold in very very similar looking jars described very poorly on DX. SKU:19866 Stainless Steel Precision Angled Tweezers. These are by far my favorite tweezers for precision work. They fit nicely when closed and because they are in a 90 degree are great fro placing SMD parts. SKU: 326247 10-pin female-female wires. 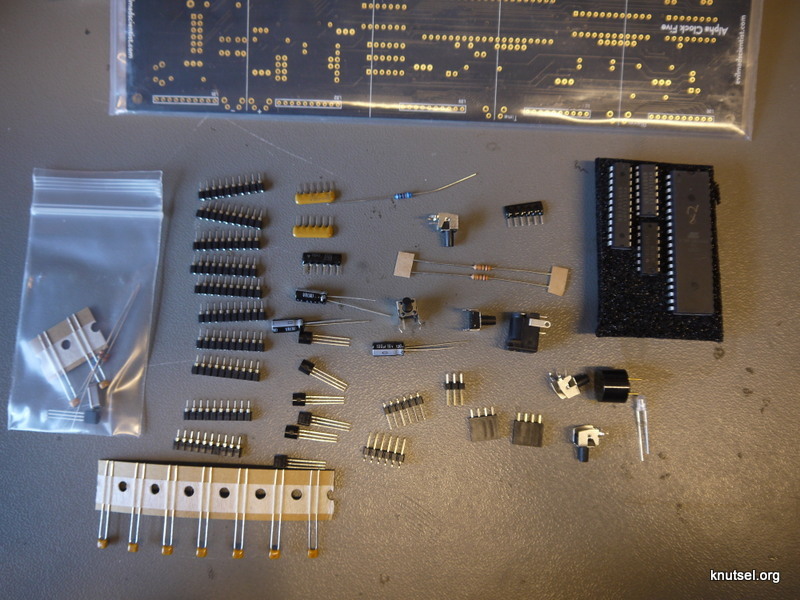 Lots of prototype-able parts have pins but are not breadboard friendly. The female wires let you hook them up. SKU: 146300: . 3W amplifier. Haven’t tried this but the idea was to use this with the MP3 module. SKU: 221187 VS1003B MP3 Decoder. 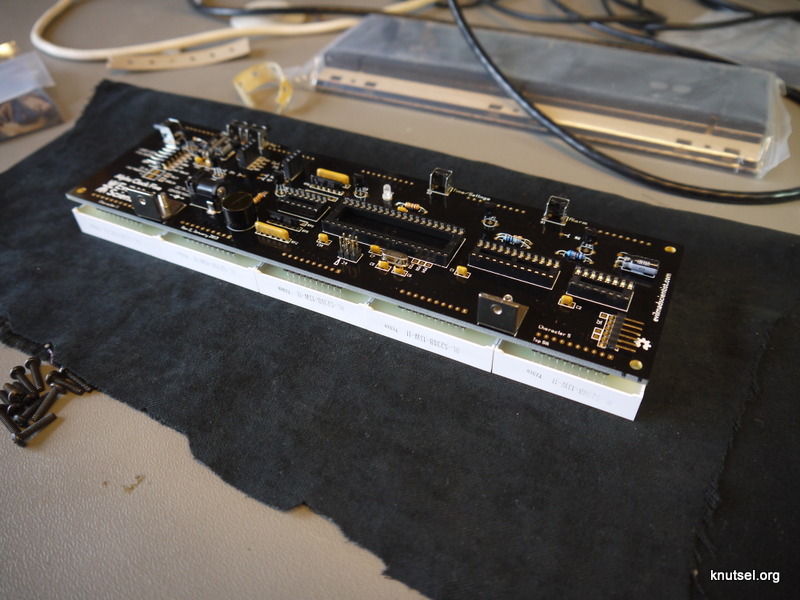 Breakout board for the VLSI VS1003. I have no idea why they mention the STM32. Haven’t played with this yet. SKU: 149344 : ODBII -> bluetooth bridge. Lets you see what’s going on in the car diagnostics system. Works with Torque on the Nexus 7. SKU: 331938 . One of the many Google Cardboard implementations . Useless to me as the Nexus 7 won’t fit. SKU: 219245 Thin and flexible network cable. Works like a charm and uses little space. SKU: 56648457 Anti-Static Static Charge Release Wrist Band (1.6M Grounding Cable). If you are working on repairing electronic equipment it’s smart to take precautions against static electricity. I have a mat as well and all the electric / electronic tools are grounded. SKU: 268720 NILLKIN Protective Flip Open Case w/ Stand for Google Nexus 7 II – Black. The Nexus falls sometimes, coffee gets spilled, accidents happen. Then it is nice to have a case. The fake leather on the inside gets dirty. And i have no idea what “There is no end in pursuing.” means that is written on the inside. SKU: 288552 Key Shaped Phillips Screwdriver + Slotted Screwdriver Set. Two screwdrivers to attach to your keychain. SKU: 142041 FTDI Breakout board. Most embedded / hobby stuff either has a USB serial serial on board (teensy, arduino etc.) or has a logic level serial interface. 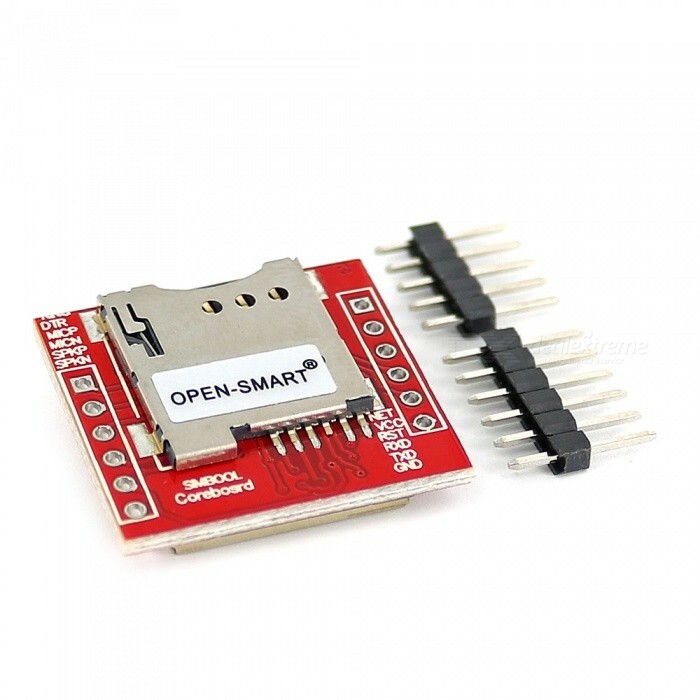 This FTDI breakout board provides you with a USB serial interface. Specs are thin, as usual on DX, but the board seems to use the “standard” pinout that Adafruit, FTDI, Sparkfun and JeeLabs use. The price difference is pretty huge compared to the (about 6 USD vs 15 USD). I wonder if the FTDI chips on this board are the real deal. 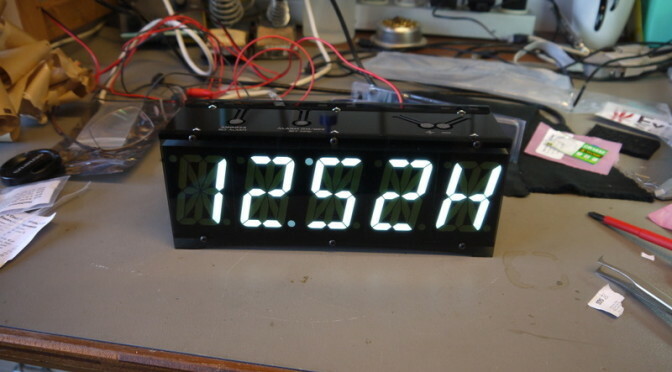 Also, it’s unclear how the board can be modified from 5 V. to 3.3V. SKU: 223501 A Female to micro USB male. 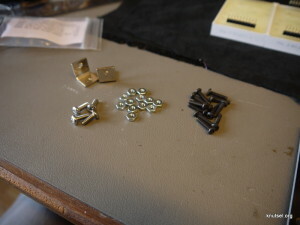 I have a couple of these to connect USB devices to a Nexus 7 via USB OTG. Nexus Media Importer will mount this external storage just fine. Great for watching movies while traveling or viewing the images on the camera. SKU: 298972 RJ45 connector . Bought to be able to improvise a female RJ45 on a UTP cable. Never used them. SKU: 56648457 Power plug converter. Many power supplies (safe ones from a proper brand) can work from 110 to 230 V AC. It’s just that they have the wrong plug. I prefer not to but you can use one of these plug converters to plug a US cable or adapter in a European socket. 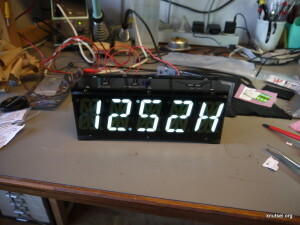 Check the maximum and minimum input voltages of the device you will connect. 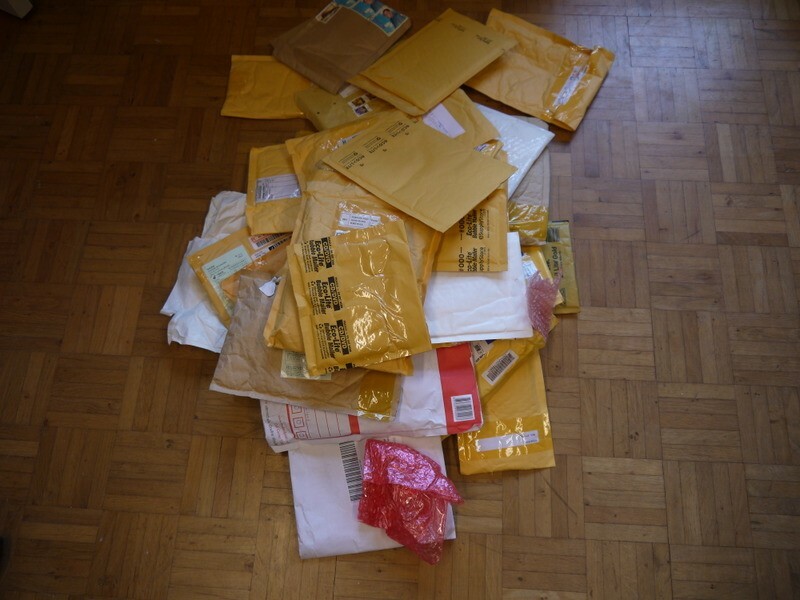 Author IvoPosted on June 8, 2015 June 8, 2015 Categories Buying stuff, UncategorizedLeave a comment on One years DX mail. 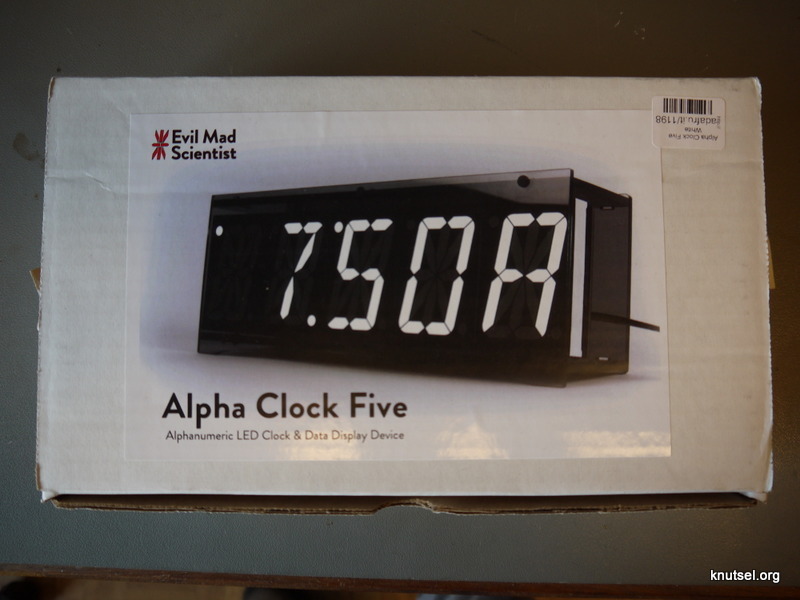 In return for helping out at Makerfaire Eindhoven, Pieter from Floris.cc gave me a Alpha Clock Five kit from Evil Mad Scientist. 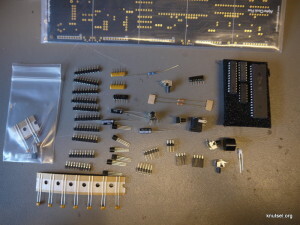 The kit is very well documented (schematic and sourcecode), uses only though hole components and is easy to assemble. 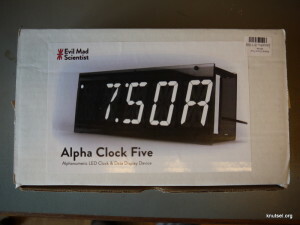 Another nice thing about the Alpha Clock Five is the Serial protocol that allow you to control all aspects of the clock. 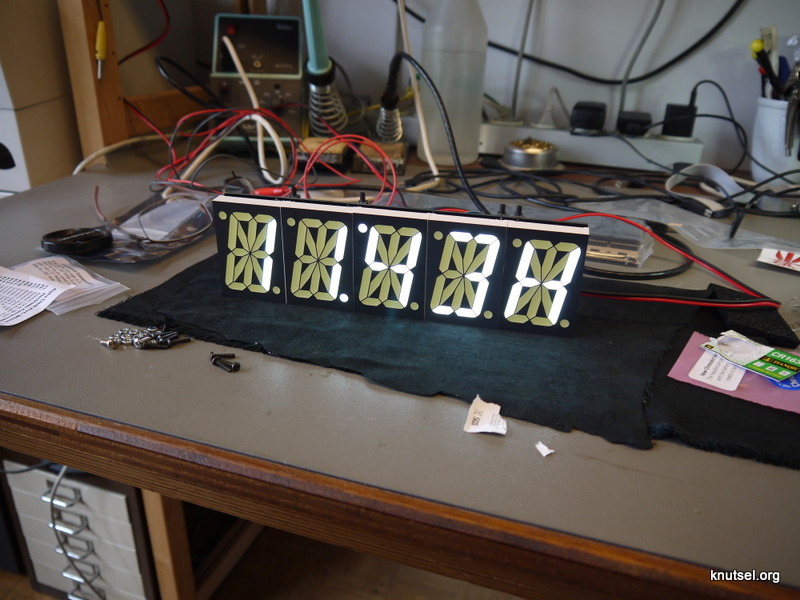 The software is really polished, no flickering display, nice gradient while dimming, user definable characters. The only thing missing you could possibly want is different intensities per segment. New Arduino Zero supports debugging. 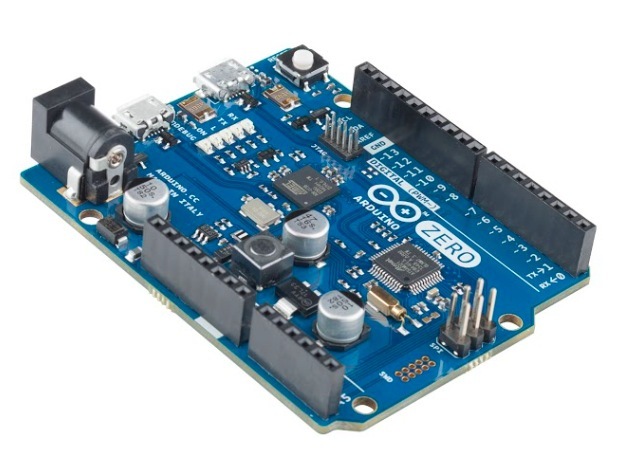 Arduino.cc have announced the Arduino Zero, it addresses two issues i (and i think many other people) have with the Arduino : it is small and slow and there is no way to debug. 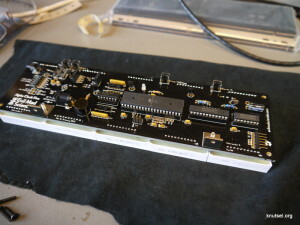 some developer boards have a Segger J-Link on board. The TI evaluation kits like the Tiva Launchpad have and “On-board In-Circuit Debug Interface (ICDI)” which is more or less open. Some Freescale boards have OpenSDA. I’m curious how Arduino.cc will integrate the debugger in the Arduino IDE. 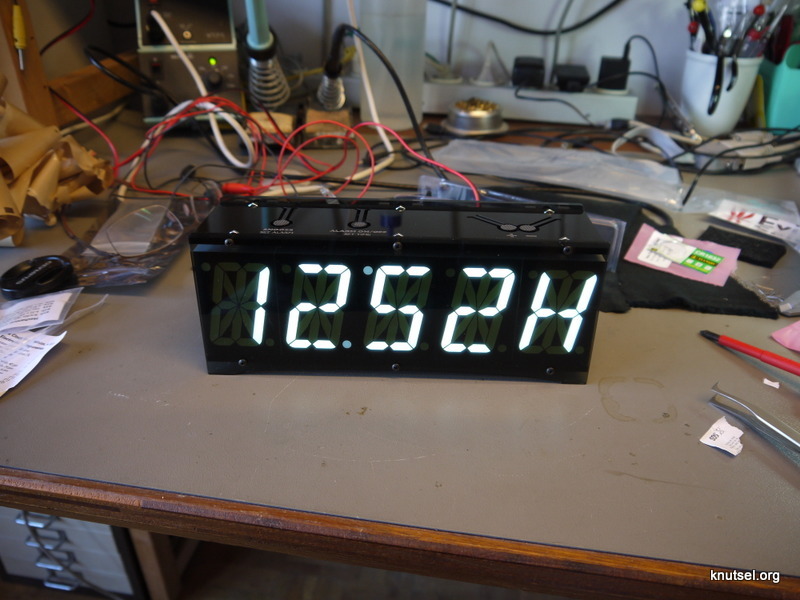 Author IvoPosted on June 3, 2014 Categories ARM boardsLeave a comment on New Arduino Zero supports debugging.